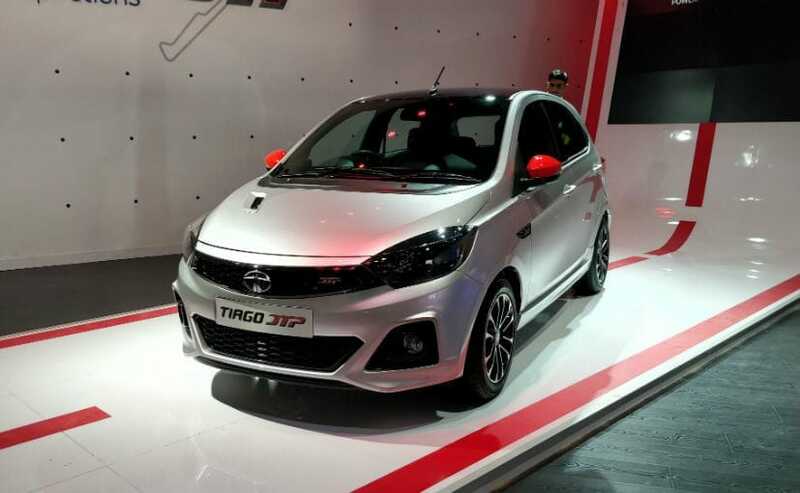 The performance-oriented Tata Tiago JTP was unveiled at the Auto Expo 2018 and will be making its way into the market over the next six weeks. 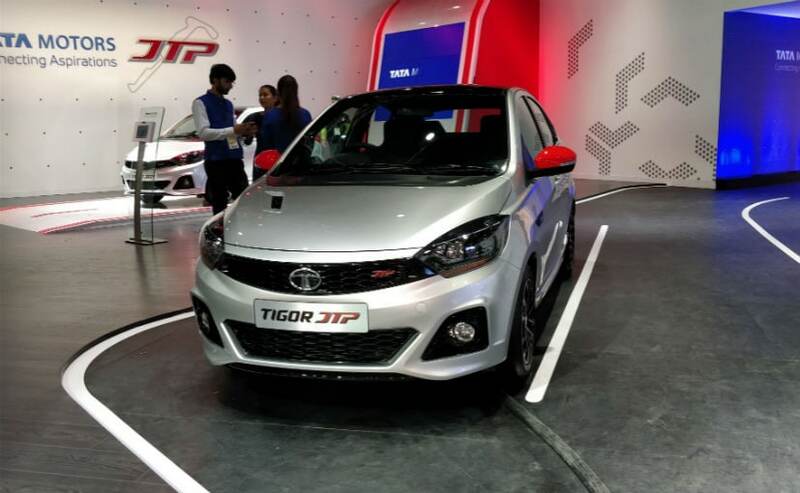 While Tata Motors does not have a performance-oriented product in its stable, the carmaker did entice auto enthusiasts with the Tiago and Tigor JTP editions that were unveiled at the Auto Expo 2018 in February. The cars have been spotted testing a number of times now and are slated for launch this festive season. Tata Motors - MD and CEO, Gunter Butschek confirmed the development to the media on the sidelines of the Tiago NRG launch earlier today. The performance version has been developed by the company in collaboration with Jayem Automotives and is one of the four new product launches that Tata Motors has planned for the festive season this year. Elaborating further, Tata Motors - President, Passenger Vehicles Business Unit, Mayank Pareek told CarAndBike, "This festive season we have four offerings for customers and one of them is the JTP. The festivals will happen over the next six to eight weeks and JTP will happen during that period." The Tata Nexon Kraz launched last week and now the Tiago NRG were the first two launches planned for the festive season. While the Nexon Kraz also celebrates the first year of sales for the subcompact SUV, the Tiago NRG adds more ruggedness to the hatchback and new features too. 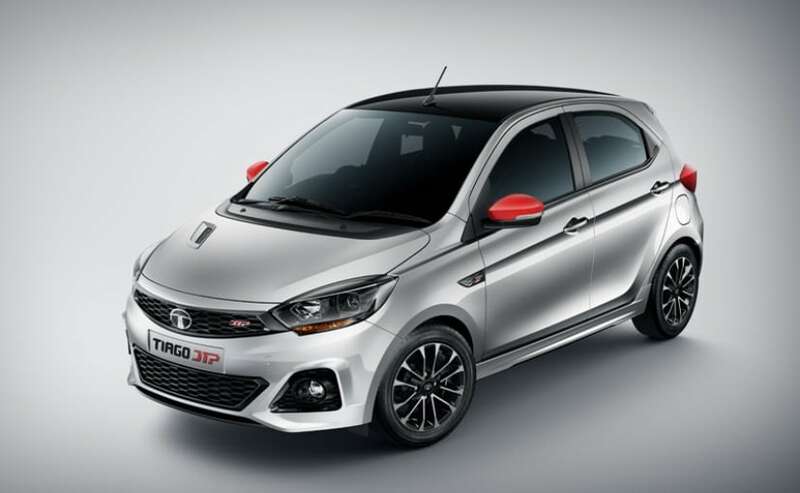 The pre-production Tata Tiago JTP and Tigor JTP versions looked promising with the sportier bumpers with larger air intakes, new fog lamp housing, blacked out headlamps and grille that also gets a JTP badge. The cars ride on 15-inch alloy wheels with side skirts and contrast finished ORVMs. The Tiago JTP also gets with a diffuser, black roof spoiler, dual exhaust tips to complete the look. Inside, the cars boasted of leather upholstered seats with contrast red stitching, aluminium pedals and an 8-speaker Harman Kardon audio system. It's not clear if the Tata Tiago JTP and Tigor JTP will be introduced together. While the dimensions remain identical to the standard versions, the ground clearance has been lowered to 161 mm, 9 mm lower than the standard models. The pre-production versions also received a bumper in power from the production-spec engine under the hood. The 1.2-litre three-cylinder Revotron petrol motor was spruced up to produce 109 bhp at 5000 rpm and 150 Nm of peak torque available between 2000-4000 rpm, while the paired with a 5-speed manual gearbox. The gear ratios though were optimised. The JTP versions also received a revised suspension setup with lowered springs. We do hope the production-spec Tiago JTP edition comes in the same package as shown at the Auto Expo, and should make for an engaging drive. Expect the Tiago and Tigor JTP editions to arrive in the range-topping variant like the Tiago NRG, and prices can be expected around ₹ 6 lakh (ex-showroom).